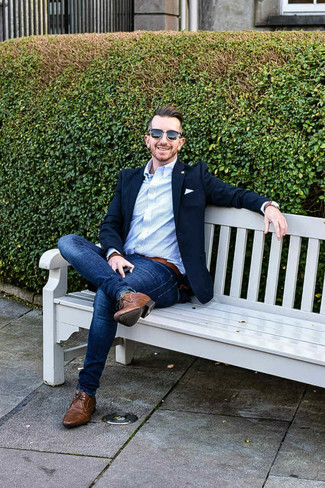 If you're on the lookout for a casual yet on-trend getup, marry a Robert Talbott Tailored Fit Stripe Dress Shirt from Nordstrom with blue skinny jeans. 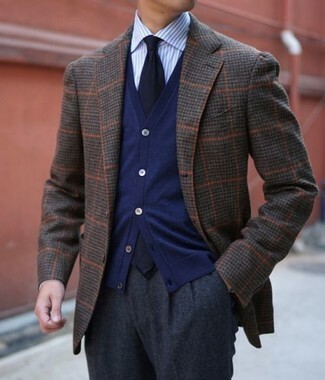 As well as super comfortable, these garments look great when paired together. 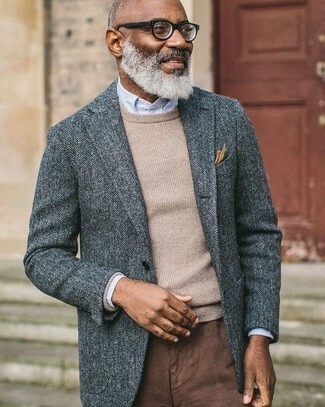 Look at how well this outfit is round off with brown leather desert boots. So as you can see, being a dapper dude doesn't require that much effort. 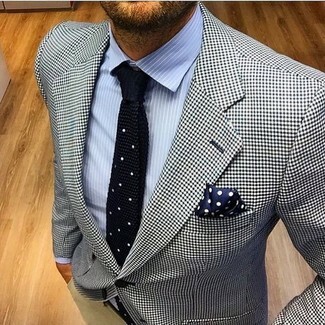 Just try teaming a Robert Talbott tailored fit stripe dress shirt from Nordstrom with beige chinos and you'll look good. When it comes to footwear, this outfit is complemented wonderfully with black leather loafers. 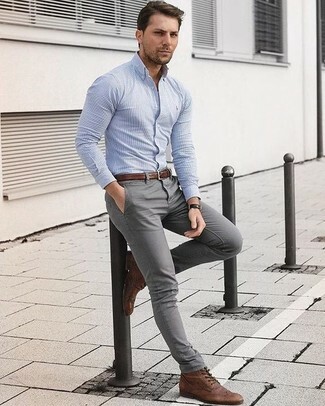 This combo of a light blue vertical striped dress shirt and brown chinos is so easy to make up in next to no time, helping you look amazing and ready for anything without spending a ton of time digging through your collection. As you can see here, being a dapper dude doesn't take that much time. 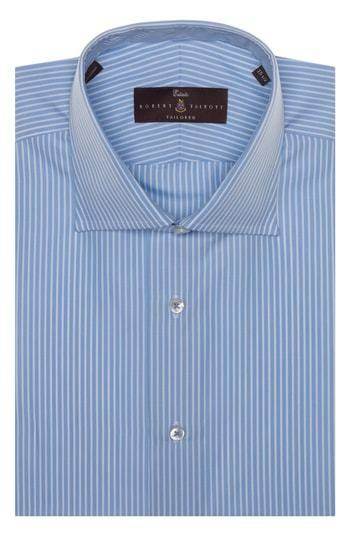 Just reach for a Robert Talbott tailored fit stripe dress shirt from Nordstrom and grey chinos and you'll look amazing. Brown leather brogue boots are a savvy choice to complete the look. For a nothing less than incredibly stylish ensemble, marry a Robert Talbott tailored fit stripe dress shirt with grey plaid dress pants. For a casually elegant outfit, pair a Robert Talbott tailored fit stripe dress shirt with beige chinos — these pieces fit beautifully together. As you can see here, looking dapper doesn't take that much the office. 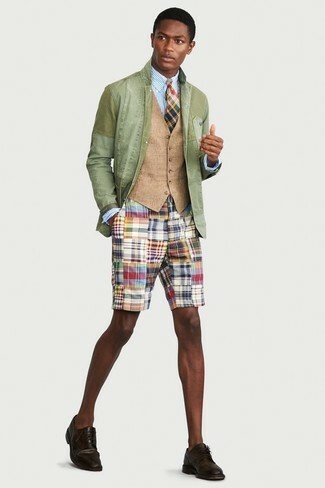 Just marry a Robert Talbott tailored fit stripe dress shirt from Nordstrom with multi colored shorts and you'll look savvy. Bump up the cool of your ensemble by complementing it with dark brown leather derby shoes. For a nothing less than incredibly stylish ensemble, try pairing a Robert Talbott tailored fit stripe dress shirt with charcoal wool dress pants. Consider wearing a Robert Talbott tailored fit stripe dress shirt and orange dress pants for a sharp classy look. 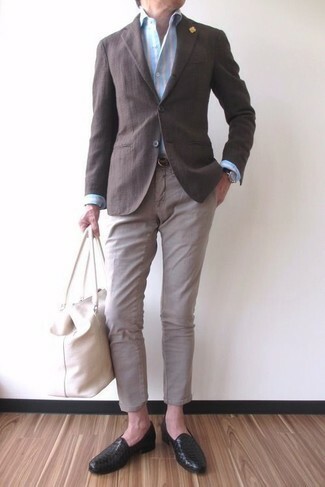 For something more on the daring side to complement this getup, rock a pair of dark brown leather brogues.